Professing Christ Jesus in the Evangelical Tradition !! 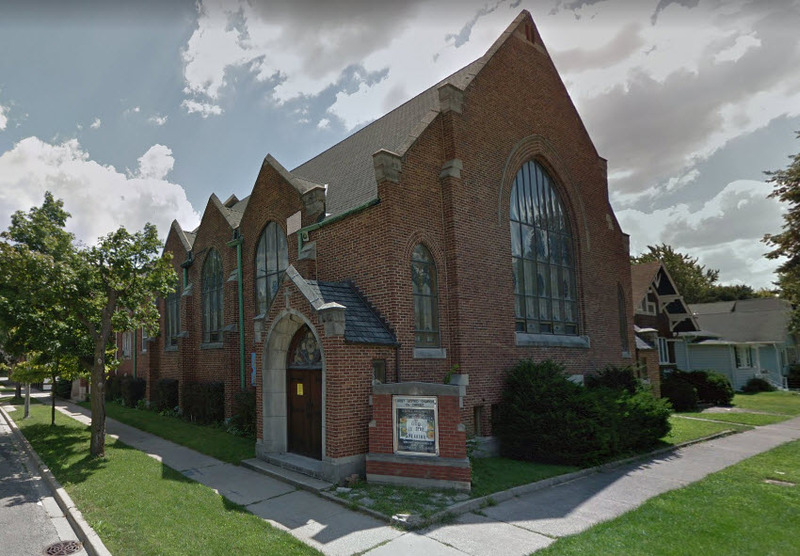 First Church is a welcoming congregation for those who desire to find a living relationship with Jesus Christ, as well as for those just looking. We are a faithful congregation in serving our Savior through worship, prayer, study, and preaching of the Gospel. We are a serving congregation in bringing the good news of Jesus Christ to our neighbor and changing our community one step at a time through service to Christ and neighbor. It is our hope that you will find a church that has a passion for Christ and for people. Please, read on. First United welcomes guests who come from a variety of church backgrounds, and those who have no church experience at all. Our worship begins with praise songs and moves into prayer of and for the people. We read scripture and sing hymns that reflect both contemporary and traditional themes. We leave room for the Holy Spirit to move us in praise, silence, and even unpredictable ways. We lay hands on those in prayer who seek help in their daily lives, deal with illness, or are simply trying to make through another day. We end with praise and sending forth into the world to be servants for Christ in the world, and we invite others to engage in a faith community that wants to grow in new expressions of faith without sacrificing the core beliefs of Historic and Biblical Christianity. First United is a small church filled with warmth and friendship. We are fond of gathering in the Recreation Hall for coffee and treats. Every First and Third Sundays of the month we provide a full lunch after the service for all who join us and want to take time to get to know each other better. We are enpowered to live our lives for Christ and through service to others. Each Monday starting in December - March we open our smaller hall and kitchen to providing meals for those who are experincing difficulties in these hard times. We contribute regualrly to the Howard Mohr Community Center Food Pantry, and provide gifts for Children during our December Children's Gift Give-a-way. We are small but powerful through God's Spirit! We are pleased to celebrate the Jesus of the Gospels as he is presented in them. Although we're small, we are busy. We annually participate in the Crop Walk, and Relay for Life. We have sponsored youth work retreats to places such as; Biloxi, Mississippi, Princeton, Illinois, and to Rock Island, Illinois. We have a yearly retreat for everyone to attend, and Members of Spiritual Council come together for a spiritual retreat in the Fall to examine their ministries and growth as leaders. We have many dinners and outings throughout the year and an All Church outdoor Picnic and Block party in June and September to greet our neighbors and open our doors to them. We have Bible studies and Spiritual Council Member Training as well as Membership Classes for those interested in Joining the local church. WE ARE BIBLICAL IN OUR THEOLOGY AND BELIEFS. We desire to be a Biblical Church with a focus on the redeeming love and work of Jesus Christ - therefore we are happy to simply describe ourselves as a 'Christian Church'. We are Evangelical in that we wish others to come to know Jesus Christ as their Savior. We believe the Bible as God Inspired and accept Jesus as the only means of our salvation. Grace is the key to knowing the depth and love of God for, 'It is through Grace you are saved, not of works, lest anyone boast". We are gratfull for what God has done for us through Christ Jesus alone. We are not ashamed to announce that we are happy to be a more Biblical alternative in our community. You may be looking for a community who welcomes you as you are. You may be looking for a church community to help nurture your children or to help nurture you in your Christian Faith. While be strive to be in tune with our culture, we are not transformed by it but seek to be a transforming presence in it. If you are looking for a more traditional church, more Biblically-based Church, and a church seeking the Power of the Holy Spirit in lives, worship, and preaching, please join us. There are many reasons to visit First United. We are happy to hold to a Biblically oriented belief in worship, prayer, praise, and study and call upon the Holy Spirit for guidence as we seek to be faithful to Jesus' call to preach the Gospel to all Nations. There are even more reasons to stay. We invite you to come...listen to the words of Jesus Christ. Come...and know God's love. Come...be a part of Christ's Church. Jesus is Lord!